This is Ricky. He's got a 'little' obsession with the 80's, and he loves women. Unfortunately for him, they don't feel the same way about him. Maybe it's because of all the cheesy and outdated pick up lines he uses? -A coward, but wouldn't be a afraid to protect his friends if necessary. -Has an unhealthy obsession with the 80's to the point he still dresses like that era, and uses cheesy pick up lines, not to mention the paraphernalia he owns. (i.e; Walkman, watches, posters, clothes.) Just the very word 80's describes Ricky. -His phone and it's apps. Usually seen with a dog collar and dog tag with "R" on it. He thinks it's stylish and also makes him look cool. Oh look! A thing I forgot to post. 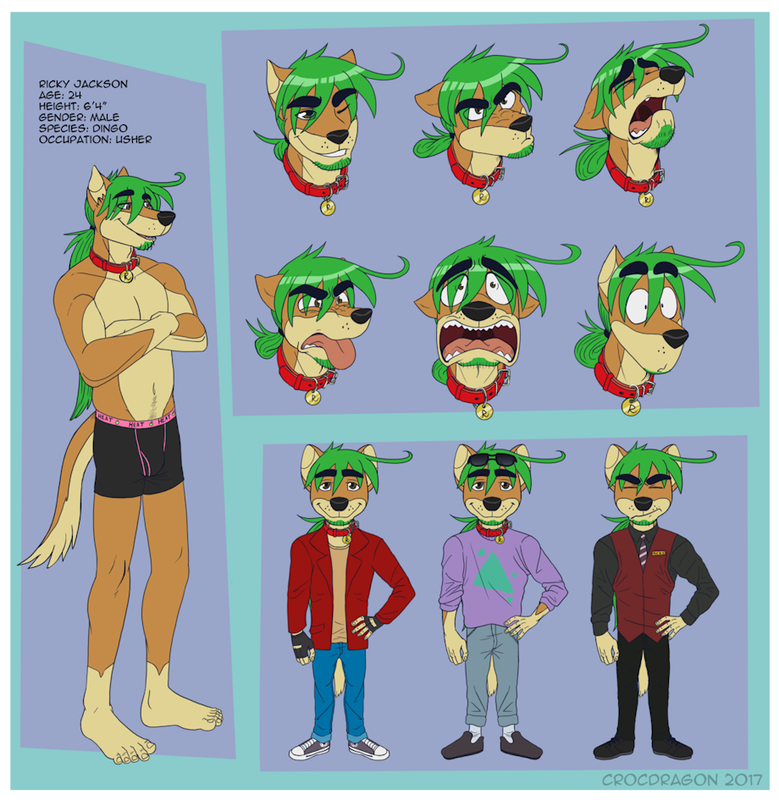 Finally did up a more updated sheet for Ricky. Now if I could just manage to sit down and do the others. He can be my usher any day!